← Details tell a story – a family crest, the ravages of time. Kissed by Caesar. . . . 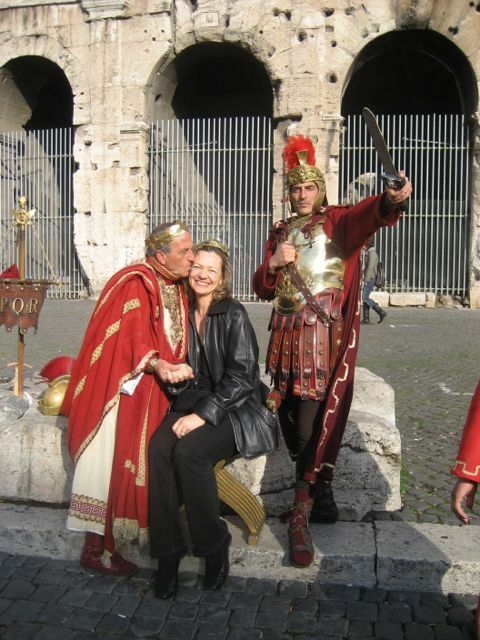 Being Kissed by Caesar at the Colosseum. So glad I was not stabbed! Stop in Rome to be kissed by Caesar before joining us at our villa for art mediation and amazing gardens! The perfect opportunity for a few days in the Eternal City – to get over jet-lag and see some of the most famous places in history. We will pick you up at the Central Train Station, or the airport, after you have visited the Vatican, seen the Forum & Colosseum, thrown your coins in Trevi Fountain and walked up the Spanish Steps to admire the view and people watch.